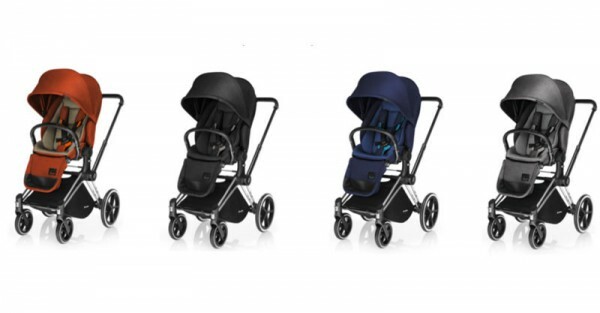 Cybex Priam Pram now comes in new colours! There are now even more reasons to lust over one of our favourite prams on the market. 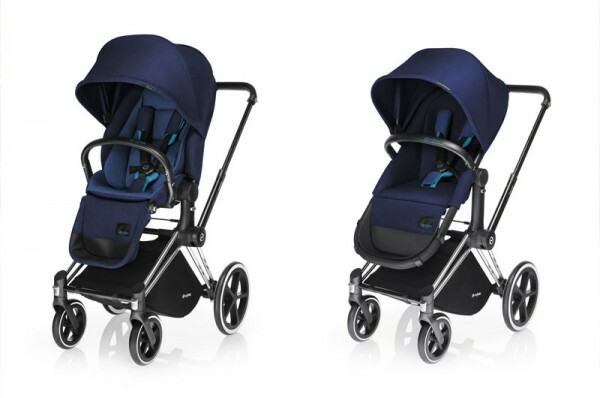 The winning form and function of the Cybex Priam pram is exclusive and effortless and the new colours mean the appeal now stretches even wider. There was a parental stampede for the Cybex Priam when it was released in Australia in August 2015. Now, coming this June, the Cybex Priam range is set to expand with more colours, seat options and frame options. The Cybex Priam frame and seat will now be sold separately so you can perfectly customise your ride to suit your family style. There will be two seat options, the Priam Lux Seat ($699) and the 2-in-1 Light Seat ($799) which easily converts into a carry cot with the help of a carry cot attachment that comes included. Both styles of seats will be now be available in Black Beauty, Manhattan Grey and Royal Blue to join the existing Autumn Gold. Made from a durable and hard-wearing fabric, the colours have a twill effect that give the seat a unique and exclusive denim look – the perfect moody hues for mums to stroll into our cooler months ahead. Also being released in June is a new frame. As classic as the chrome Priam frame is, you now have the choice of an urban style matte black frame as well, with either all-terrain or trekking wheels no less (both $999). Read about all the bells and whistles that come standard in this award winning stroller in our previous post, but the highlights include one handed fold and adjust, reversible seat, adjustable handle bar, oodles of storage and my personal favourite – a seat designed at the perfect height so you can stroll right up to a table and keep your little one in the stroller instead of storing it awkwardly and finding a high chair. As soon as they are released, you will be able to pick up your very own tailored Cybex Priam pram in store at Babies R Us or David Jones or you can place an order online at CNP Brands. Just back from maternity leave, Kate Thompson is resigned to a house overrun by boys (3 kids, dog and husband). Existing in a phase she affectionately coins ‘monotonous chaos’, this stay-at-home-mum revels in moonlighting as a writer and feeling like a grown up every once in a while. A background in teaching and psychology, she entered parenthood confident she was up for the challenge, but now eats humble pie on a daily basis.